On 13 May, UNU-IAS, the Ministry of Environment of Japan (MOEJ), Association for Interpretation Japan, and Global Environment Outreach Centre (GEOC) jointly organized the Symposium on Biodiversity and Sustainable Tourism: Discussing Interpretation of National Parks. Every year, UNU-IAS celebrates the International Day for Biological Diversity (IDB) by holding an event. This year, as the 2017 IDB theme of “Biodiversity and Sustainable Tourism” coincides with the observance of 2017 as the International Year of Sustainable Tourism for Development, the event mainly focused on the interpretation of national parks, which serve as valuable resources for educating and communicating with visitors about nature. The event began with a message from Cristiana Pașca Palmer, the new Executive Secretary of the Convention on Biological Diversity (CBD), emphasizing the importance of ensuring sustainable tourism in Japan so as not to harm its rich biodiversity. Tsunao Watanabe, Senior Programme Coordinator of UNU-IAS, and Natsuko Higa, Parliamentary Vice-Minister of the Environment, delivered opening remarks. 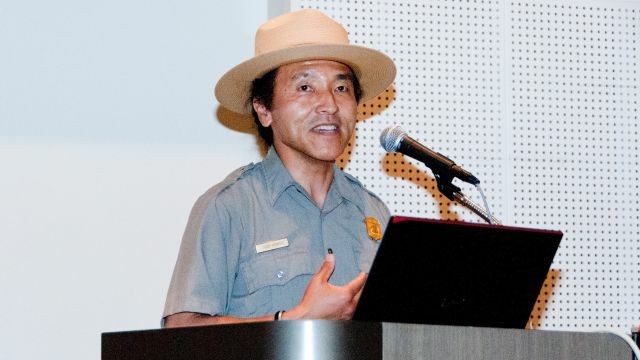 Following their remarks, keynote speeches were presented by Todd Hisaichi, a park ranger from the U.S. National Park Service, and Masahito Yoshida, a professor from the Graduate School of Comprehensive Human Sciences, University of Tsukuba. Hisaichi explained the similarities and differences between national parks in Japan and the U.S, while highlighting the role of interpretation in enhancing the understanding of national parks and NPS activities as well as extending park experiences to a wider community. Yoshida discussed the history of the interpretation in Japan and the importance of national parks as a “nest” for biodiversity and sustainable tourism. He emphasized the role of interpretation in facilitating understanding of linkages between humans and nature and promoting the concept of biocultural diversity. An additional three presentations expanded the focus on interpretation and sustainable tourism. Notably, Maia Browning, formerly of the Learning and Development Division of the U.S. National Park Service, gave several examples of interpretation training in the U.S. The event finished with a panel discussion fueled by questions from the audience. 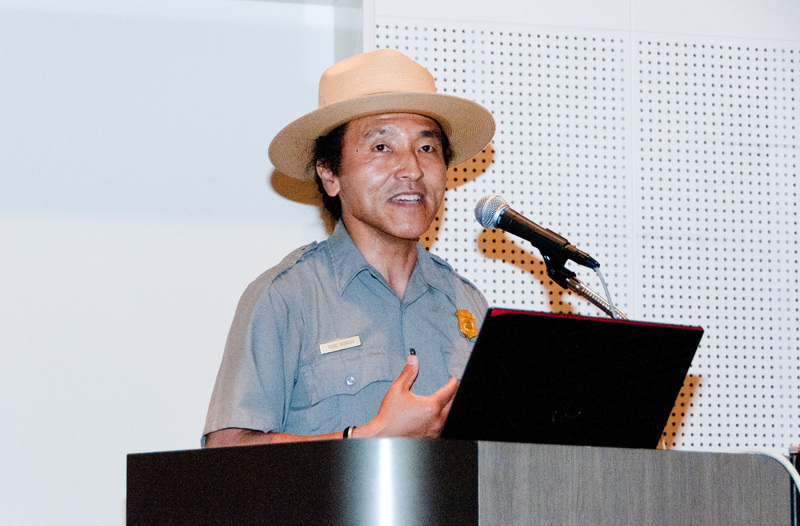 Tadashi Kawashima, President of Japan Environmental Education Forum, moderated discussion on how interpretation can enhance the appeal of national parks. The panelists exchanged various opinions such as on the role of interpretation in helping visitors to national parks rediscover the value of nature, how to offer capacity building for future interpreters, the importance of national parks as tourism destinations, and the need to promote an international exchange of ideas among park rangers.